Last spring, we brought you a birthday party and head to head director's competition, this year, we're bringing you even more! More laughter, more competition, and more fun! 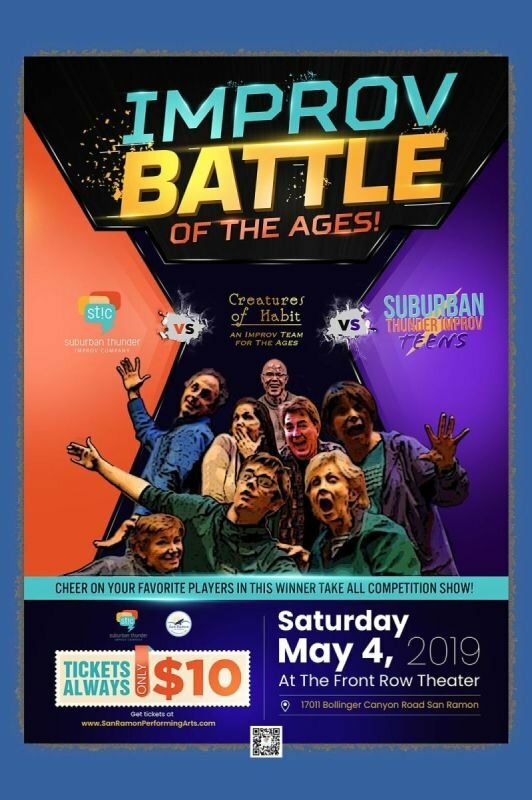 Suburban Thunder Improv Company takes on Creatures of Habit and Suburban Thunder Improv Teens is this winner take all competition show! Cheer on your favorite team of rebels and renegades in this one night only show!